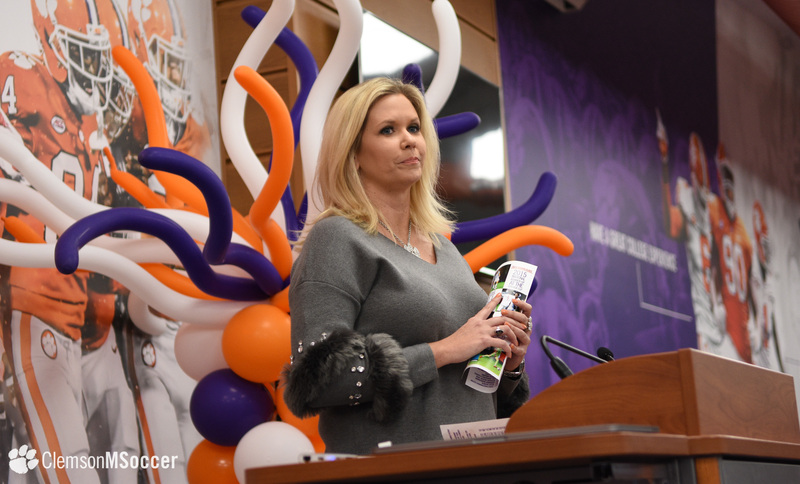 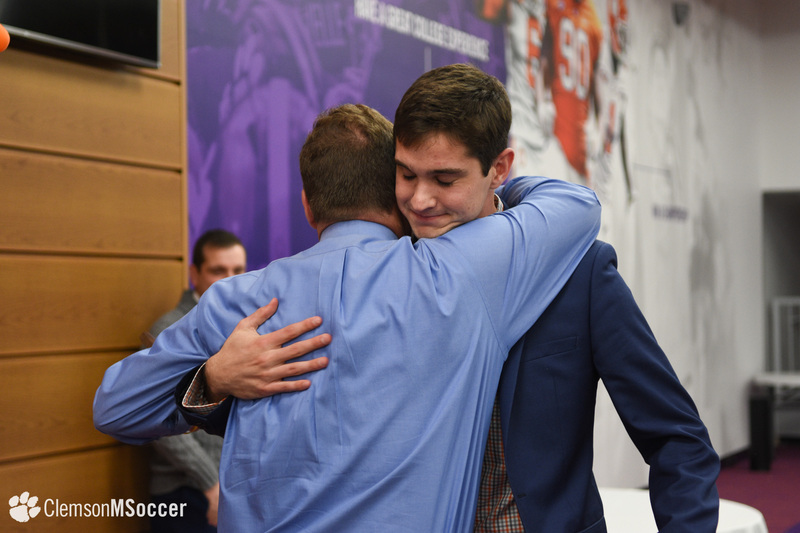 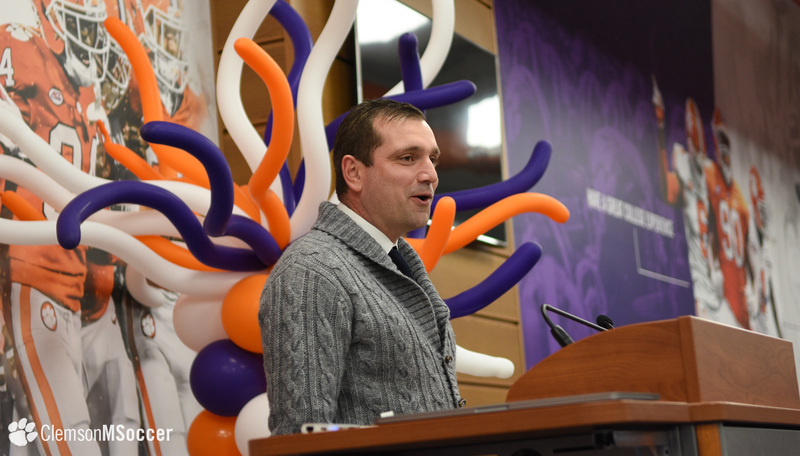 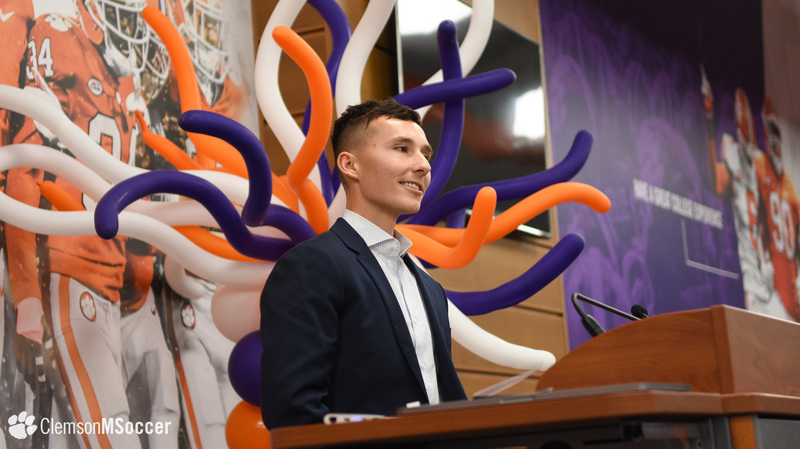 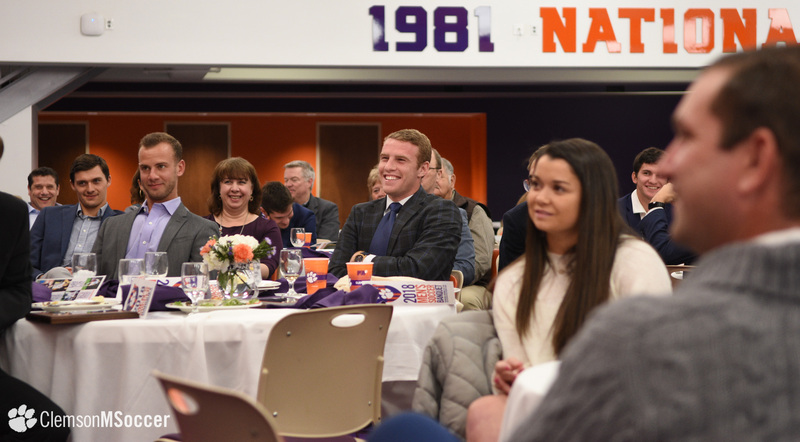 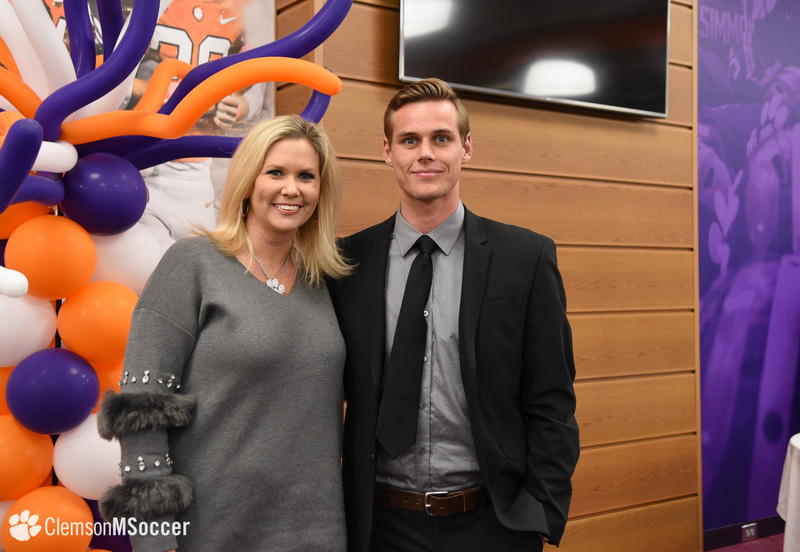 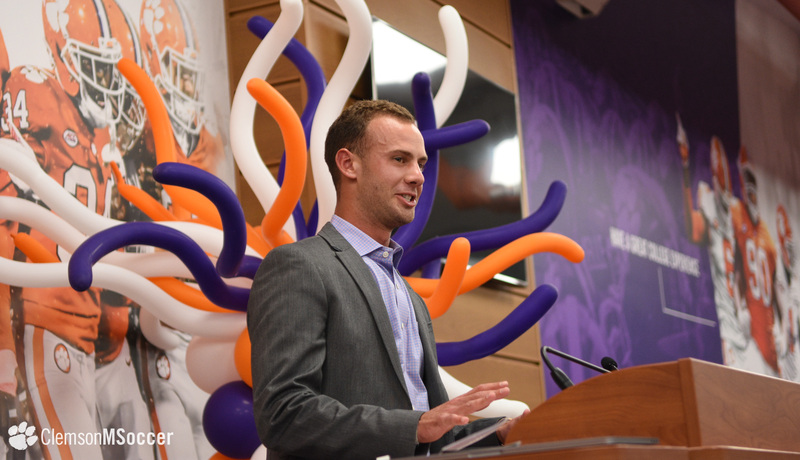 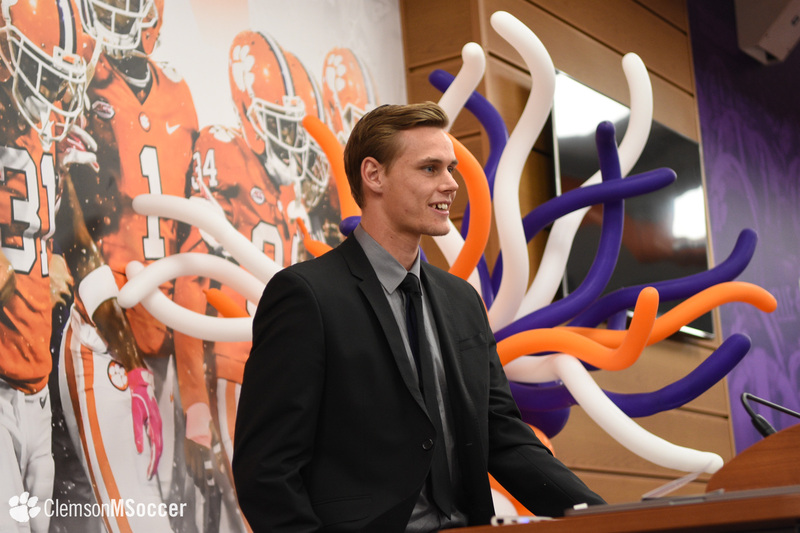 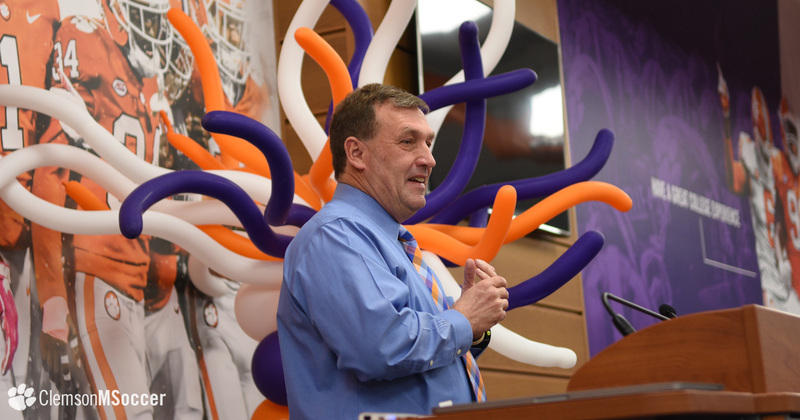 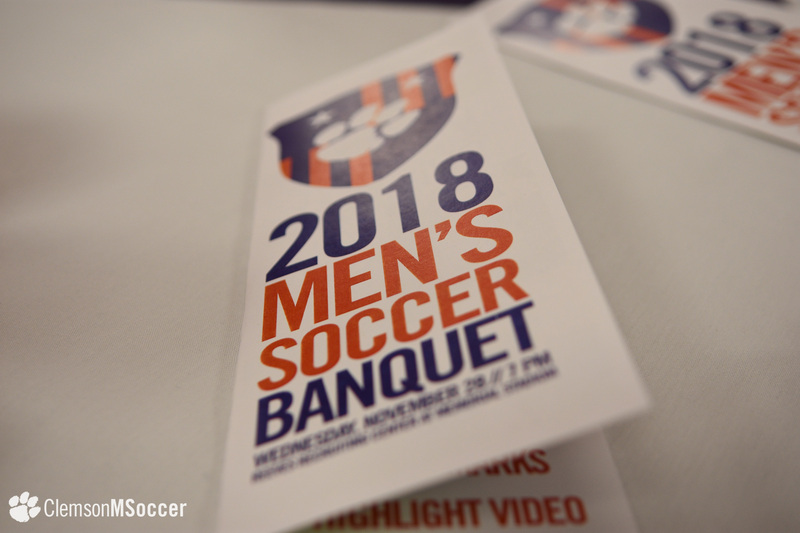 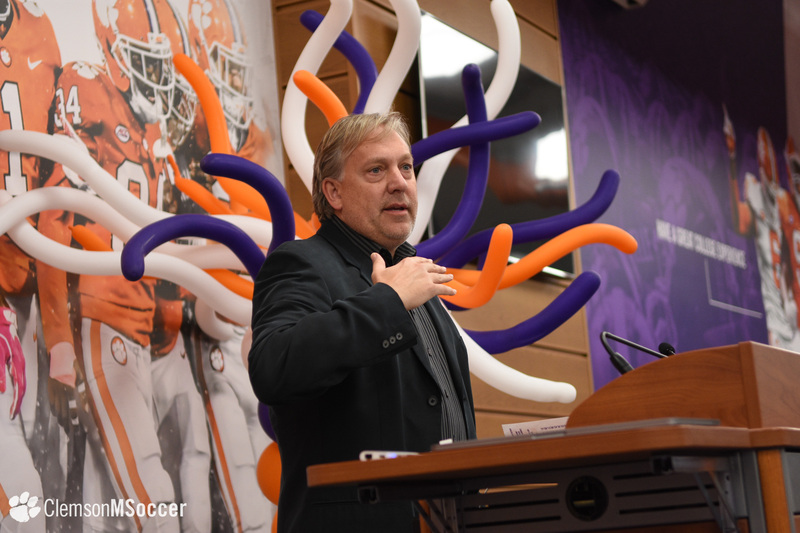 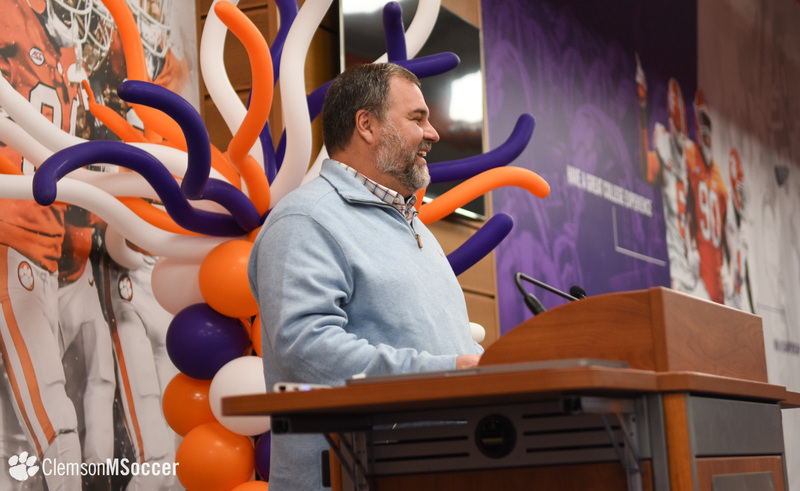 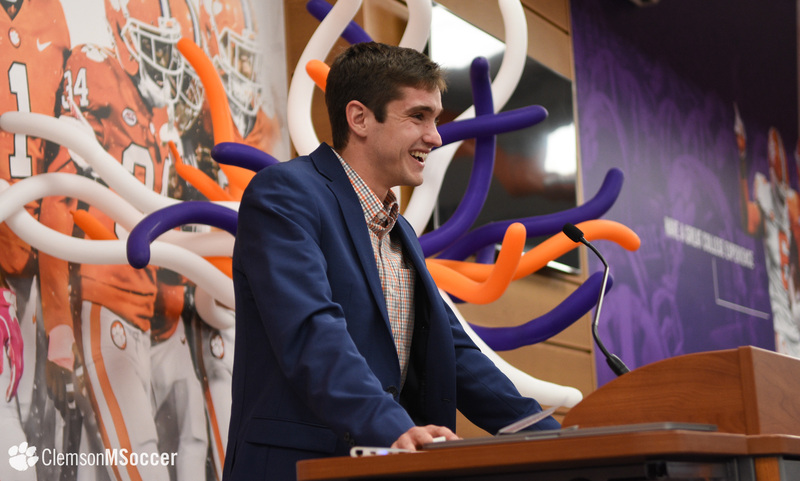 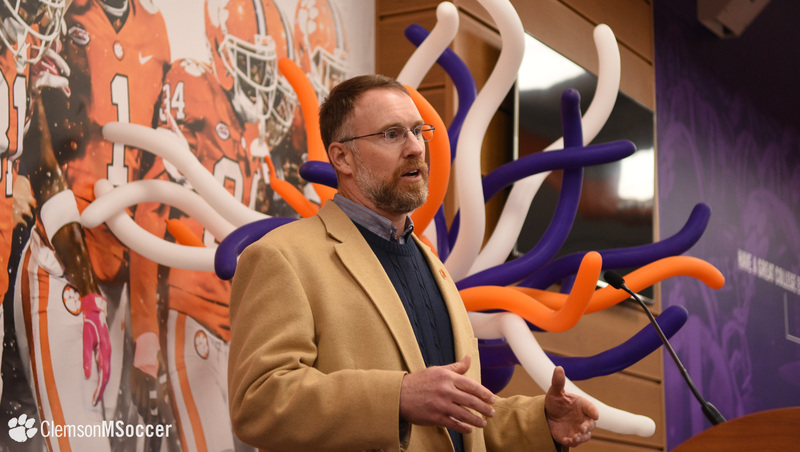 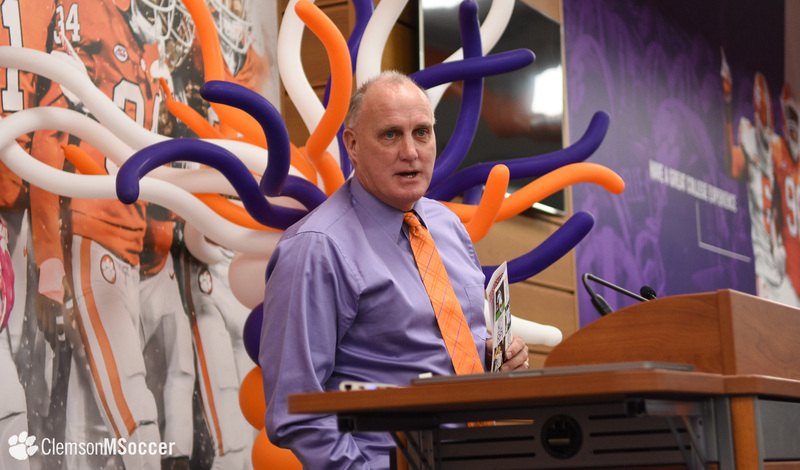 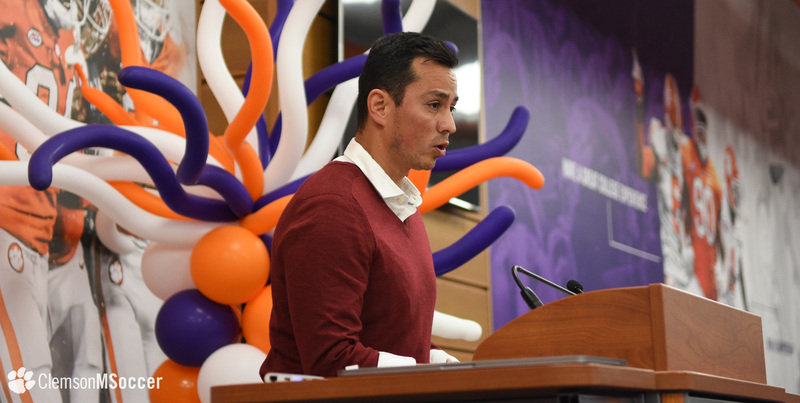 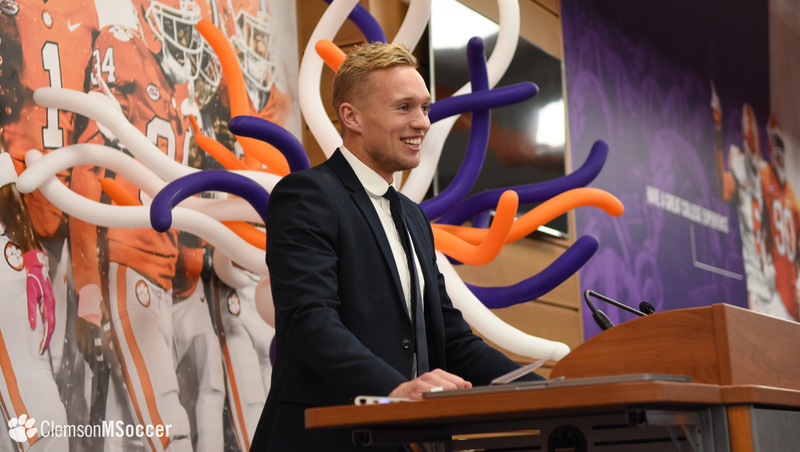 CLEMSON, S.C. – The Clemson men’s soccer program held its annual awards banquet on Wednesday, November 28 at the Reeves Recruiting Center at Memorial Stadium. 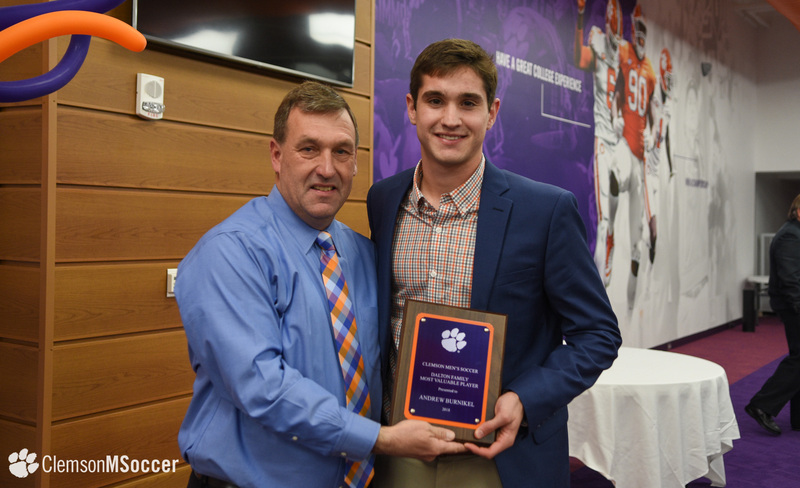 Senior Andrew Burnikel was namedthe Dalton Family Most Valuable Player. 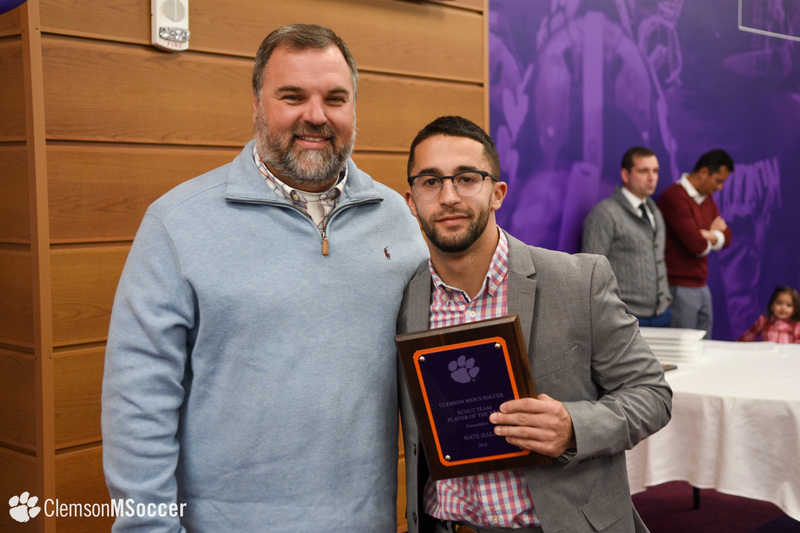 Burnikel played in 16 of the Tigers’ 17 matches this year and finished third on the team in points after scoring two goals and adding three assists while maintaining the presence of a quiet leader all year. 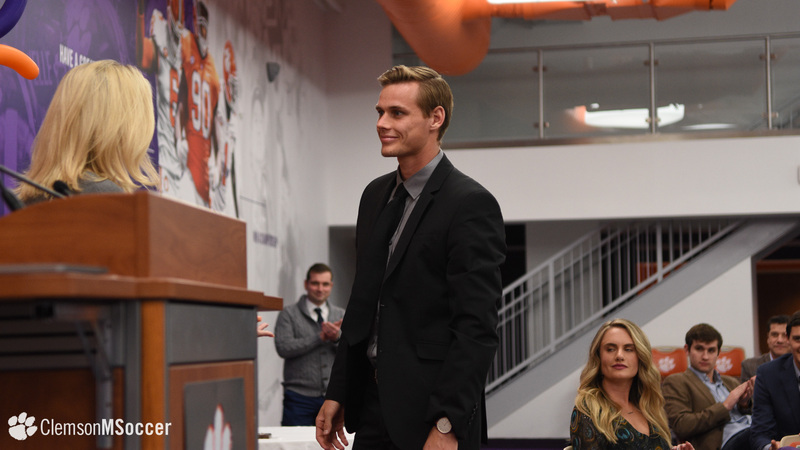 Senior Patrick Bunk-Andersen wastabbed as the Defensive Player of the Year for the second straight season, and junior Adrian Nuñez wasthe Offensive Player of the Year for 2018. 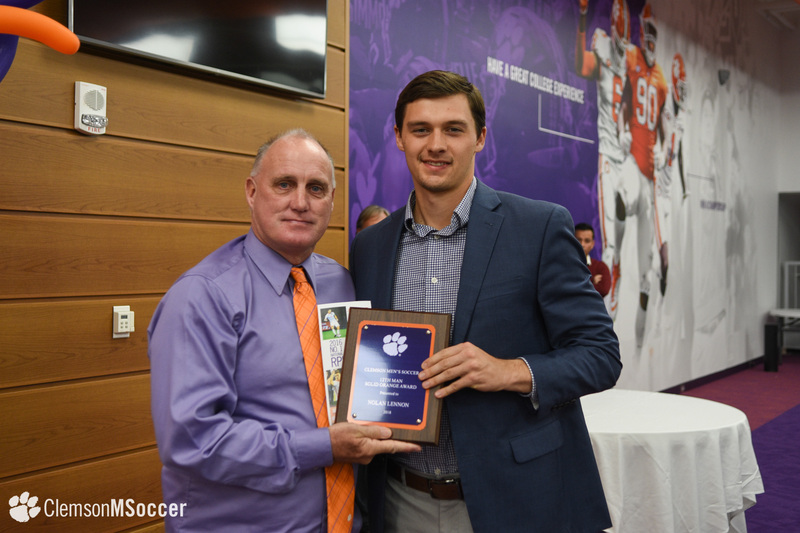 Bunk-Andersen played every single minute of the Tigers’ 17 matches this season, serving as the anchor of Clemson’s back line. 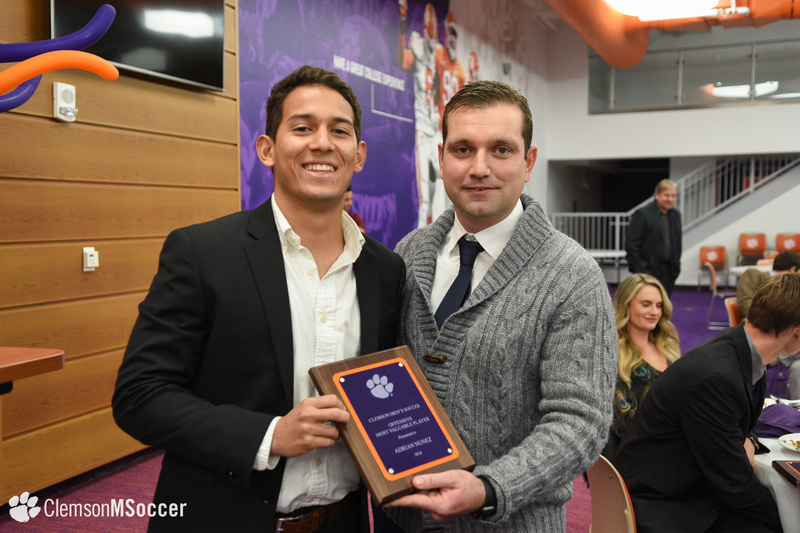 Nuñez netted a team-best six goals, and that mark combined with two assists put him at the top of the team points list in his first season as a Tiger and in the ACC, as he transferred from North Florida. 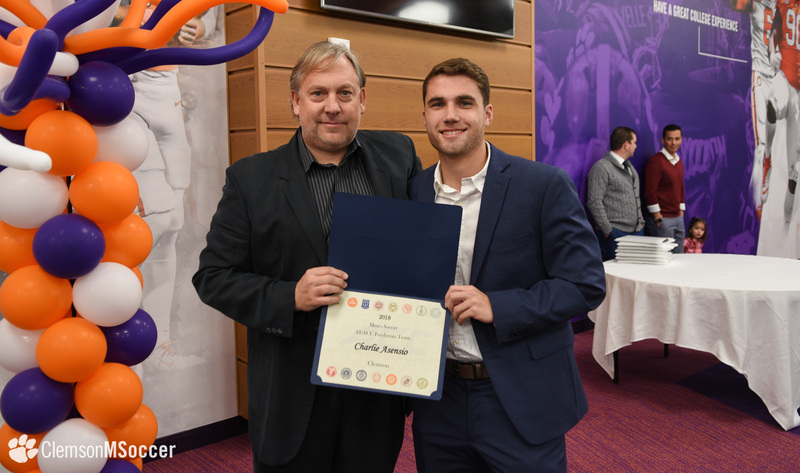 Freshman Charlie Asensio earned Newcomer of the Year after ranking third on the team in minutes played despite being a first-year player, seeing less action than only the team’s two captains, Bunk-Andersen and Tanner Dieterich. 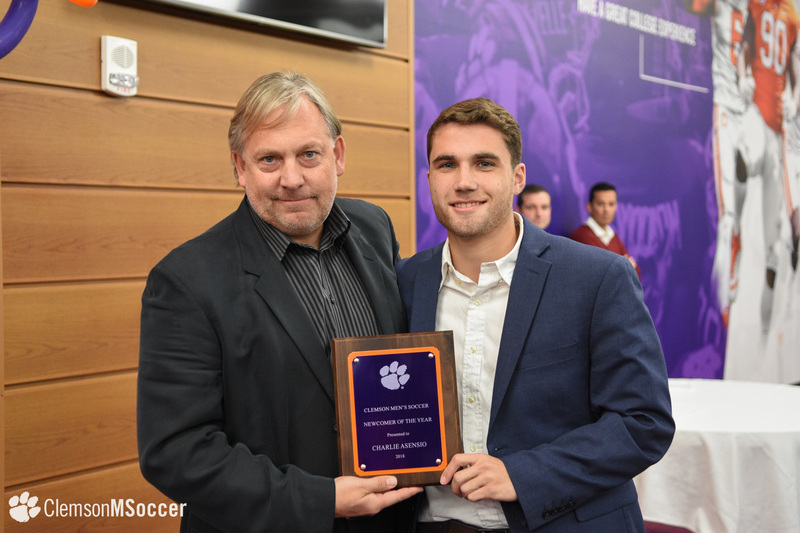 Asensio was also named to the ACC All-Freshman Team. 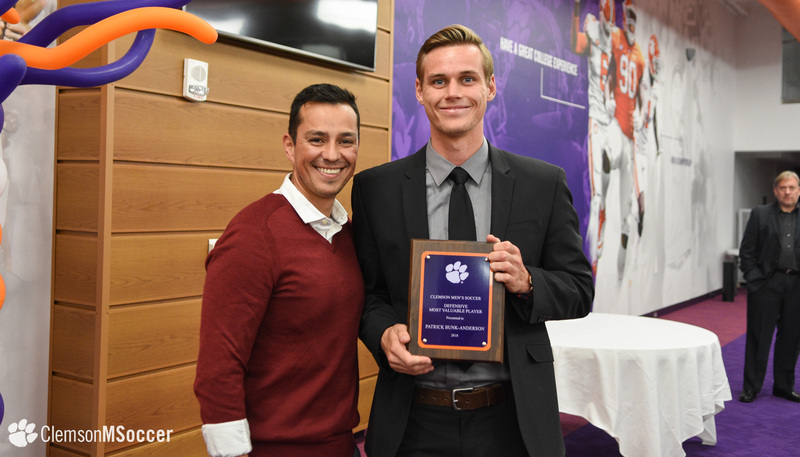 Redshirt sophomore Nate Hall received the Scout Team Player of the Year honor, awarded to a player who showed unwavering commitment to preparing the team for upcoming matches throughout the year. 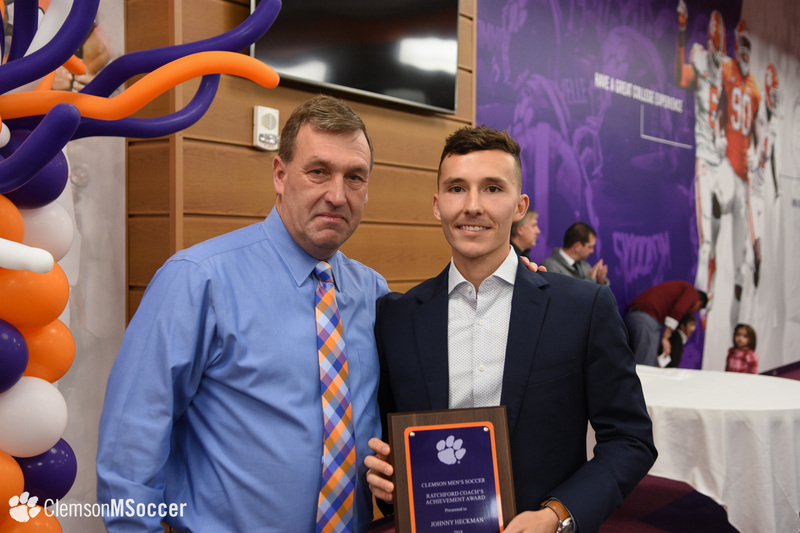 Redshirt junior Nolan Lennon was awarded the Keith Tormey 12thMan/Solid Orange Award, and the Ratchford Coach’s Achievement Award was given to senior Johnny Heckman.